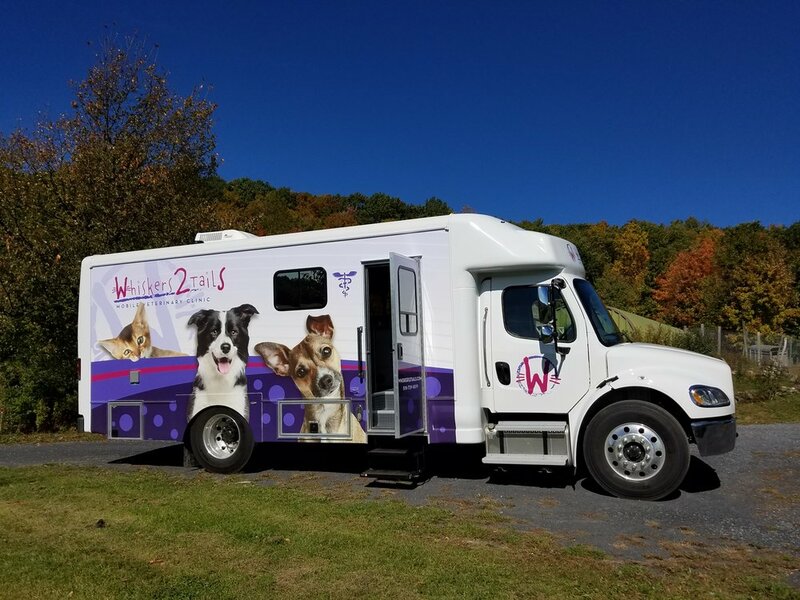 We are proud to bring Whiskers2Tails Mobile Veterinary Clinic to Saratoga Springs, New York and its surrounding areas! Our goal is to make veterinary care more convenient for owners while allowing our pets to feel less fear and anxiety. Dr. Aimee Heidt has been a local veterinarian since 2003 and made it her goal to become Fear Free certified before opening her own practice in order to provide the best care for your cats and dogs. This state of the art mobile veterinary clinic provides routine examinations and vaccines while also boasting a full surgical suite, digital x-ray machine, and in-clinic and reference laboratory services. Please meet Dr Aimee here! Click below to create your account and schedule an appointment! Due to our type of practice and being on the road in different places, we are not able to provide immediate care (in most cases) for traumatic or critical medical emergencies or extensive surgeries/illnesses that require hospitalization. It is highly recommended for you to have a secondary veterinary hospital that you feel comfortable with for these situations.